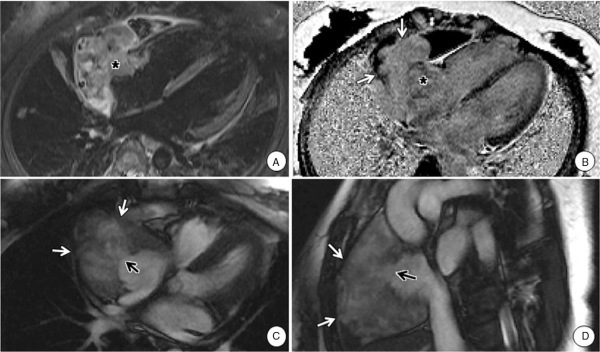 Cardiac angiosarcoma is the most common malignant tumor of the heart and a rare disease with rapid disease progression and poor prognosis. 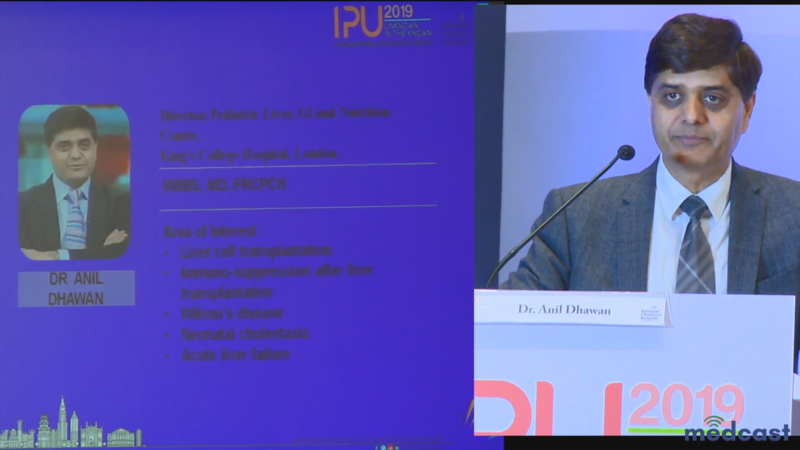 Cardiac wall rupture is an extremely rare complication. 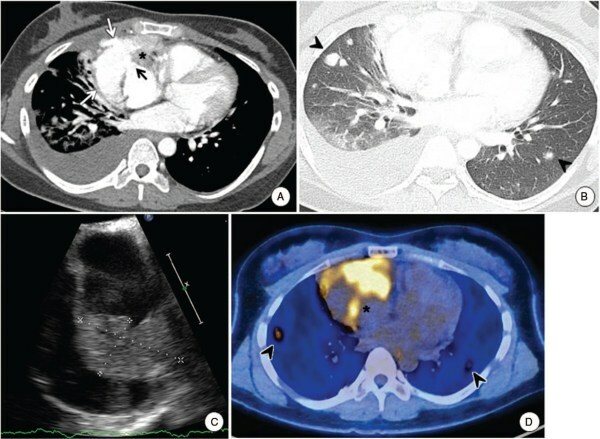 A cardiac mass was identified on echocardiography and subsequently performed chest computed tomography and cardiac magnetic resonance imaging revealed the cardiac tumor at right atrium with right atrial wall rupture and hematogenous lung metastasis. 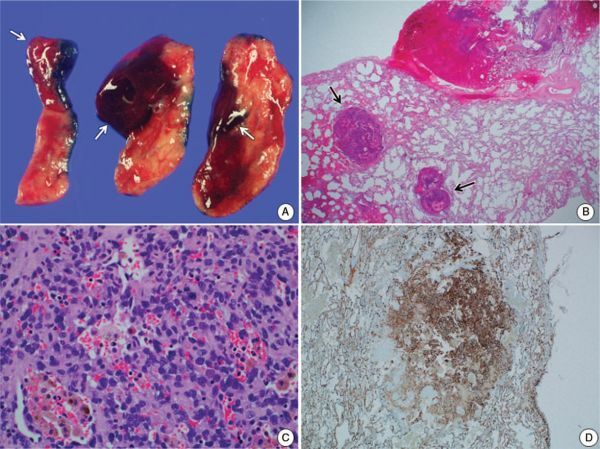 Histopathologic diagnosis of metastatic angiosarcoma was done by open lung biopsy.The patient was treated with palliative chemotherapy for the primary cardiac tumor and hematogenous lung metastasis.